Skegness-born Jason Atherton’s Temple and Sons has launched a new brunch menu in the City, available every Saturday from 11.00am to 3.00pm. 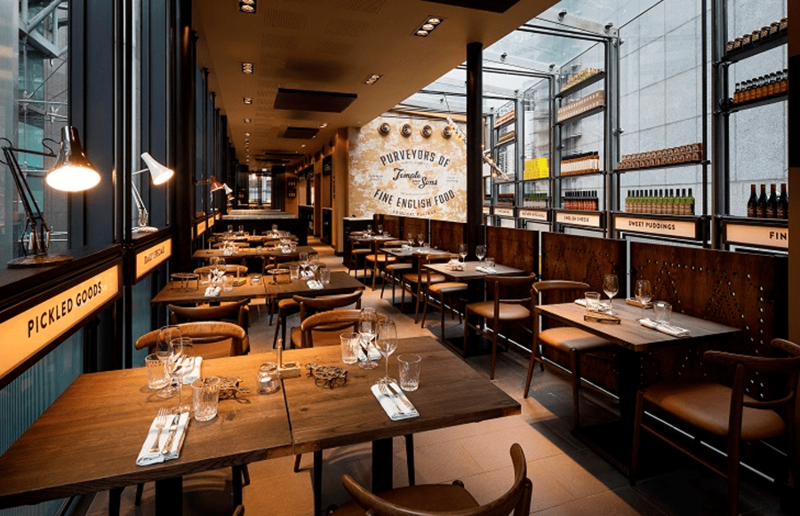 Set across two floors in the heart of the City of London, the restaurant comprises of an 80-cover grill restaurant and a 40 cover all-day deli and bar serving snacks and small plates, with interiors inspired by a traditional Victorian grocery. The new menu features a selection of hearty brunch dishes made using the best of British produce, alongside a menu of innovative cocktails created by Bar Manager, Callum Silvester. The menu mixes British and American classics ranging from sourdough bacon or sausage sandwiches to buttermilk pancakes. There’s of course a classic full English breakfast combining pork and fennel sausage and smoked bacon with mushrooms, fried potatoes, BBQ beans and eggs, with a bold Temple and Sons’ addition of sourdough toast topped with bone marrow. Other standout dishes include wood fired Lake District onglet steak with potatoes, black pudding, Lyonnaise onions and a fried egg and fried Cornish chorizo, smoked tomato chutney with confit potatoes and eggs. It wouldn’t be brunch without booze either so Temple and Sons have put a spin on many of the brunch favourites. Temple and Sons Bloody Mary blends Ketel One vodka infused with bacon with tomato juice, social spice mix and lemon and is served with a “Full English” garnish. 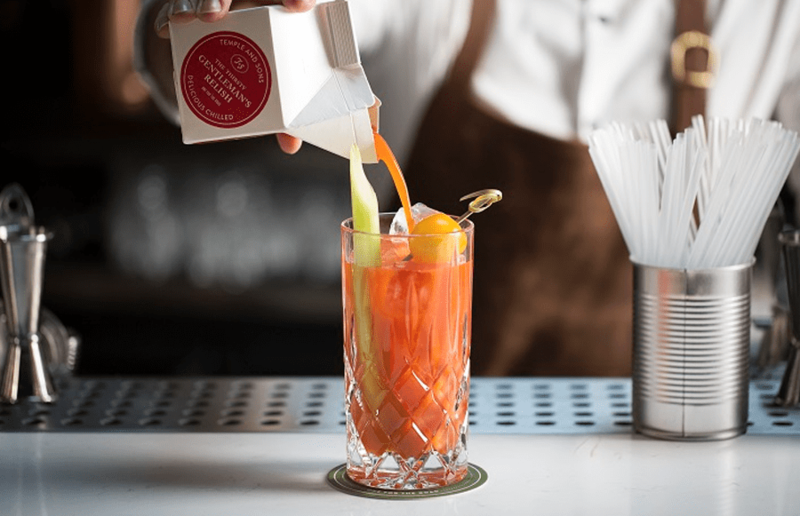 While Mr Mary offers a gin-based alternative, combining Hendricks gin and Gentleman’s Relish distillate with tomato juice, social spice mix and lemon. Traditional Bellinis have been given an upgrade, with raspberry and lemon thyme or white peach and rosemary options, alongside three Espresso Martini variations including classic, vanilla and chocolate and salted caramel and stout reduction! Visit The Temple and Sons, 22 Old Broad St, London EC2N 1HQ. Bookings can be made by calling 0207 877 7710.